This resource serves to track domestic news inside Russia – focusing primarily on demographics, public opinion, economy, and major domestic political events inside Russia. It is intended to give students who are otherwise following major issues and events within Russia greater context from which to view those issues and events. This resource lists useful but often under-reported information that can help build a pragmatic and objective view of Russia’s domestic situation. 55 percent of the respondents said they have noticed the positive results of the nationwide anti-corruption campaign. The share of Russians who describe themselves as patriots is now at 92 percent, the highest number in 18 years, according to a public opinion poll conducted by the state-run agency VTSIOM. Over half of Russians polled by the independent Levada Center said they would like Vladimir Putin to stay on as president after 2024. 45 percent of the poll participants said that they had attended meetings with veterans, 61 percent visited military museums and memorial sites, 88 percent of citizens watched the war-themed films. The Kremlin shrugged off a rare fall in President Vladimir Putin’s popularity ratings caused by plans to raise the retirement age sharply, saying there was no need to dramatize the situation. Nicholas II is now the most popular of all historical figures throughout the volatile 20th century – 54 percent of respondents said that they sympathize with the monarch. Joseph Stalin was second with 51 percent and Vladimir Lenin was third with 49 percent. Technical problems, rise of SpaceX are contributing factors. With a price tag of around $50 billion, headlines in the run-up to the Sochi Winter Olympics in 2014 were quick to dub them “the most expensive Games ever.” The World Cup also comes with a big bill — and criticism. Some Russian regions will not be financially capable of maintaining their 2018 FIFA World Cup facilities in the long run after the tournament is over, Fitch said in a report released on June 15. The Russian Audit Chamber that is now headed by ex-Finance Minister Alexei Kudrin will be given carte blanche to scrutinise regional spending, Vedomosti daily said on June 4 citing the amendments to the Budget Law approved by the government and prepared for hearings in State Duma. The President met with the new Chairman of the Accounts Chamber Alexei Kudrin. Alexei Kudrin was appointed Chairman of the Accounts Chamber on May 22. Adidas’s business boomed in the country but sanctions in recent years have caused revenue there to plummet. For about as many years as any close Russia watcher can remember, Vladimir Putin, the figurehead and the conductor of the Russian economy, has at least paid homage to Russia becoming the tech power he thinks it should be. Despite a lackluster economic growth rate, Russia has set a new worldwide record for growth in the number of dollar millionaires, according to the latest global wealth report. Russia’s banking sector has returned to profit and the Central Bank of Russia (CBR) said in June that the sector clean up is nearly over. After more than two decades of “wild cat” banking, the dead wood and dodgy banks have largely been expelled from the sector, which is starting to look increasingly “normal”, even if there is still a lot of work to do. Russia’s falling interest rates have fundamentally changed the way the average Russian thinks about their life savings. Following the years of hyperinflation during the 90s the interest rate sensitive Russians have traditionally sought out banks that pay the highest deposit rates in an effort to at least slow the attrition from inflation. Vladimir Putin has the coercive resources and elite support to remain in office regardless of whether the population supports or deserts him, but at least some of his power depends on his ability to mobilize his base which consists of government employees, industrial workers, and especially pensioners. The Federal Tax Service has been named Russia’s most bloated and expensive bureaucracy. The expulsion of old regional barons is risky: the banner of public pushback and local patriotism could be picked up by new regional politicians who might be even less convenient for Moscow. Politically isolated and facing repression, the Russian left is pondering its future. The Russian government’s World Cup news dump didn’t end with pension reform: Medvedev also announced that Russia will raise the Value Added Tax from 18 percent to 20 percent, though existing VAT benefits on foods, children’s goods, and medical supplies will remain untouched, to ensure that “the burden doesn’t fall on [ordinary] people,” the prime minister said. As World Cup fever mounts in Russia, opponents of a government plan to raise the retirement age find themselves jostling for political position, with a handful of protests announced against the proposed measure set to coincide with soccer’s centerpiece event. Russians are embracing their role as hosts for jubilent soccer fans. While some commentators say the international guests will help dispel Western media myths, others argue the exchange could undermine Kremlin control. The federal bureau of the “Yabloko” political party is being sued for refusing to nominate Moscow branch leader Sergey Mitrokhin as the party’s candidate in this September’s Moscow mayoral election. The Russian government’s announcement on the eve of the World Cup that it would raise the retirement age has been met with near-universal opposition. Despite a presidential decree that essentially forbids political protests during the World Cup, unions and opposition figures have scheduled several pension reform protests. The Russian Supreme Court has ruled that municipal authorities cannot deny a request for a protest rally because of inconveniences it could bring to non-participants, but noted that protests should not obstruct traffic. At least five Open Russia pro-democracy activists have been detained in a police raid on the opening of a new office in Russia’s Far East. Russian Communist Party head Gennady Zyuganov has described the proposal to raise the retirement age in Russia as “insanity” and says the issue should be decided by a nationwide referendum. All institutes of the Russian Academy of Sciences (RAS) formerly subordinated to the Federal Agency for Scientific Organizations (FASO) will now fall under the jurisdiction of the Ministry of Science and Higher Education. Meduza breaks down Thursday’s 4.5-hour event into two short paragraphs. Workers at the Red October factory in the southern Russian city of Volgograd have raised the alarm over mass layoffs and salary delays in the run-up to this summer’s FIFA World Cup. Gulag documents are “kept forever” in accordance with strict regulations, the Russian deputy minister of internal affairs said. The statement comes amid reports that prisoner records are being destroyed under a secret order. Thinking in broad, generational terms about Russia’s young people will only lead to conflated and patronising conclusions. Blagoustroistvo is an untranslatable Russian word referring to the improvement (and/or beautification) of public services or infrastructure. Despite this mundane meaning, its etymology is quite grandiose — literally, blagoustroistvo means something like the arrangement, provision or construction (ustroistvo) of a blessing (blago). Russia’s athletes and military personnel are increasingly turning to ancient pagan beliefs, the head of the Russian Orthodox Church has warned. Going from big cities to the countryside is becoming a new trend in Russia, sociologists say. 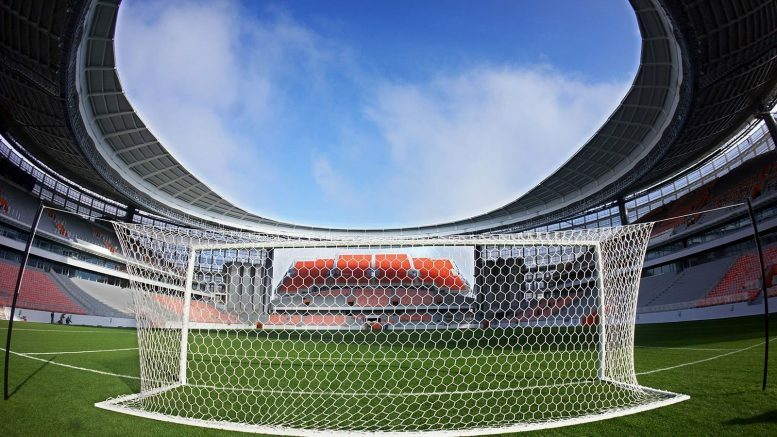 Russia claims its World Cup stadiums meet the highest environmental standards, yet some have been built on top of ecologically sensitive areas. Since the World Cup started, an apparent thaw has swept across the country: Football player Agapov waved a rainbow flag at the opening match and a British LGBT activist named Di Cunningham also flew a gay flag at an England match, after confirming with Russian authorities that it would be allowed. But outside the stadium, public LGBT events were met with a harsher hand. The Moscow School of Social and Economic Sciences, known as “Shaninka,” is one of Russia’s main universities for the study of the humanities. Alex holds a BA in Teaching Russian as a Foreign Language (RFL) and is currently on his way to get an MA in Translation. He came to Moscow from Tolyatti to study at Lomonosov Moscow State University in 2013 and has been in love with the city ever since. 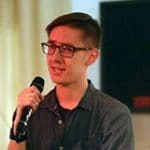 In March 2018 Alex joined SRAS to help coordinate student activities in Moscow. When he’s not occupied with that, Alex likes to play guitar and read.